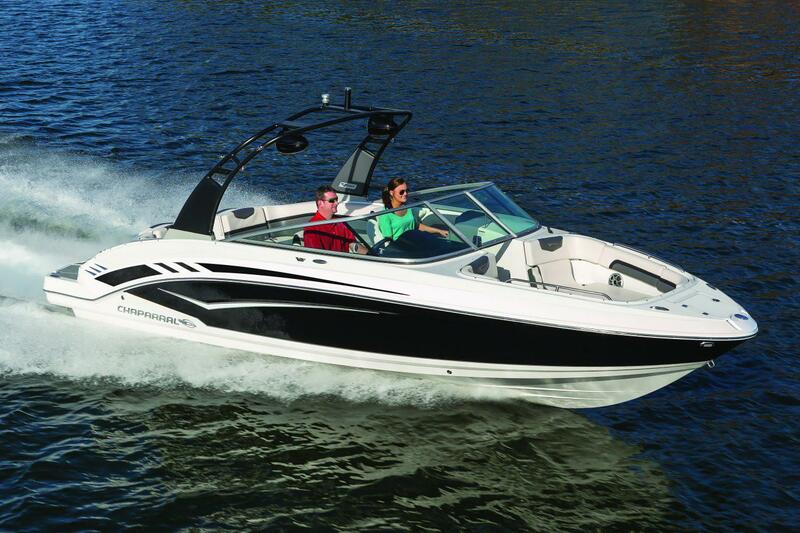 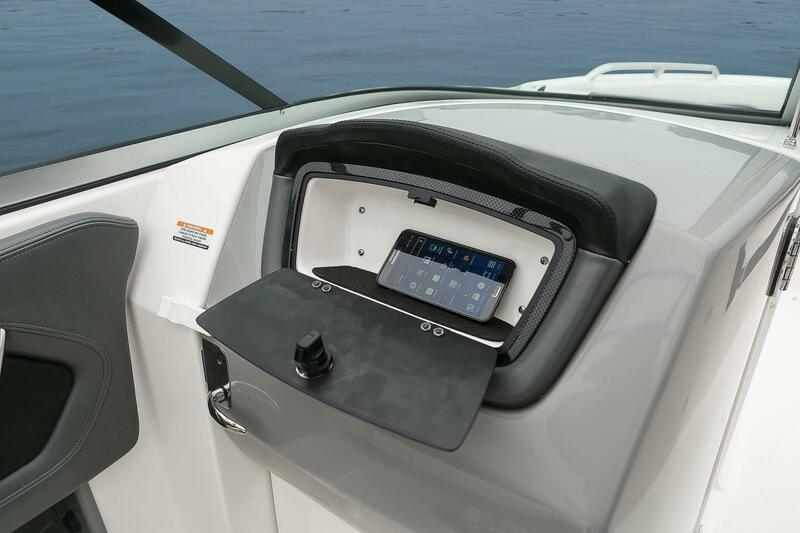 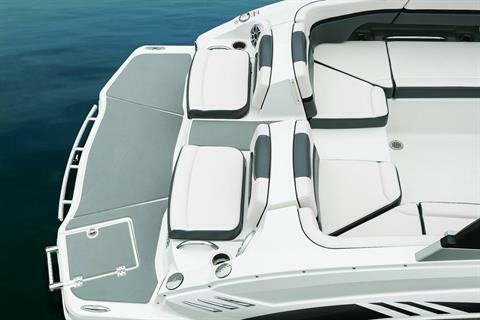 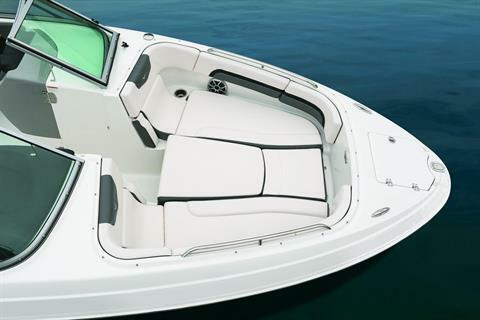 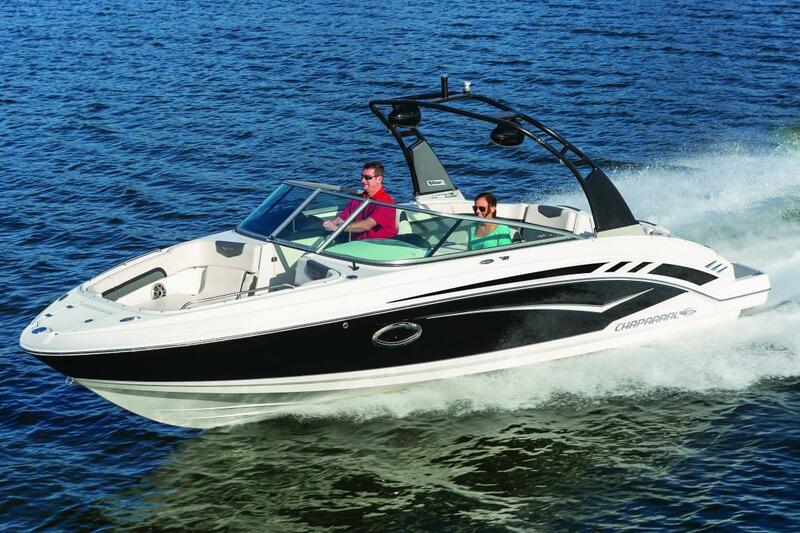 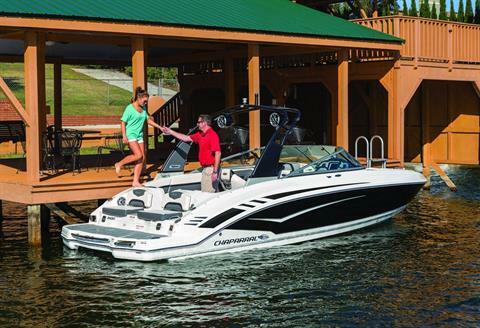 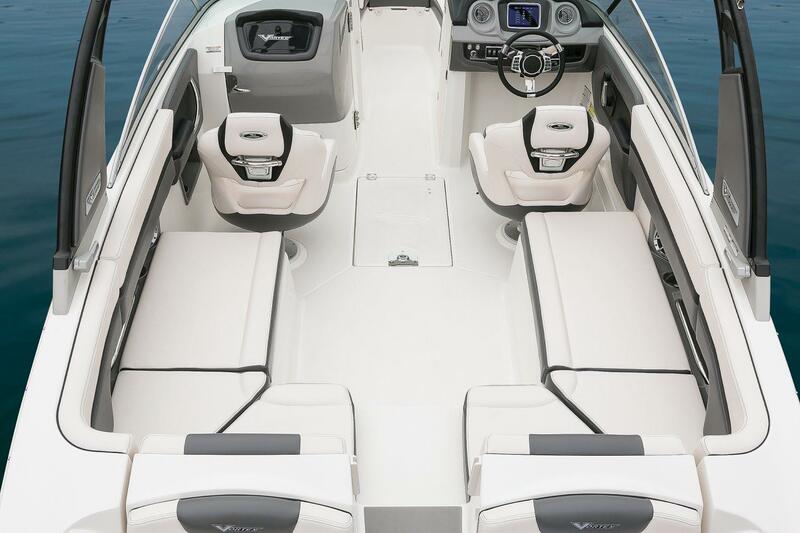 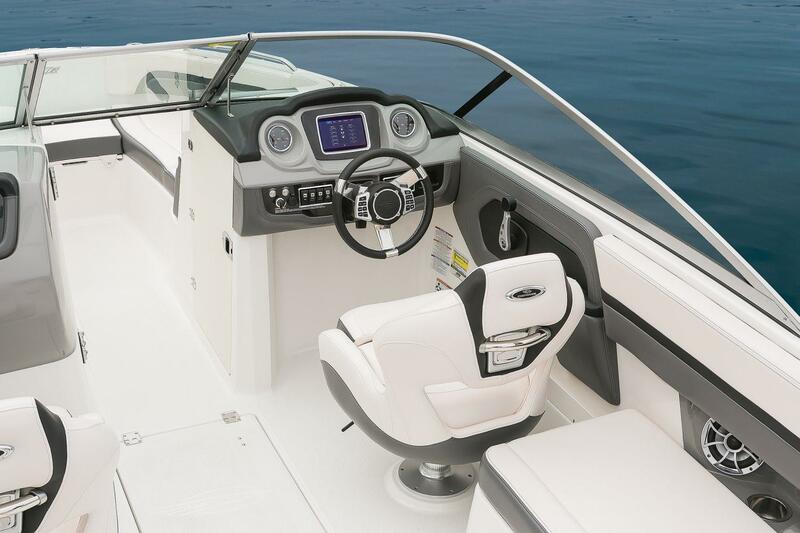 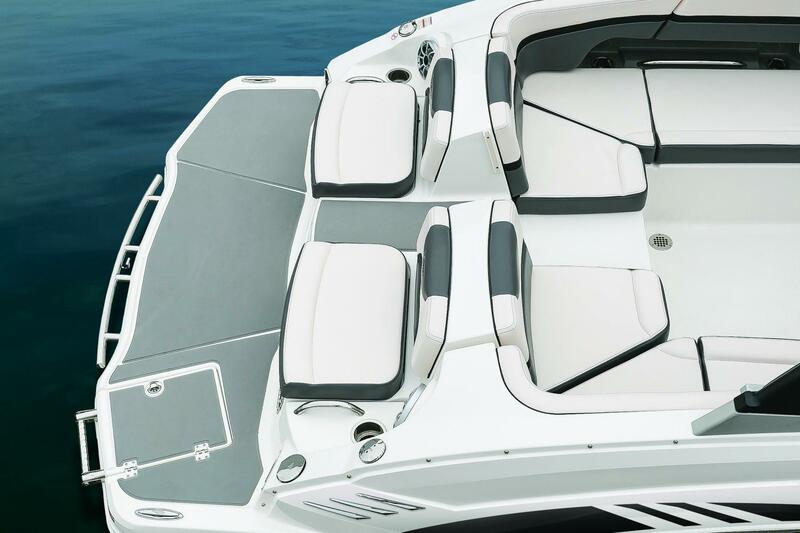 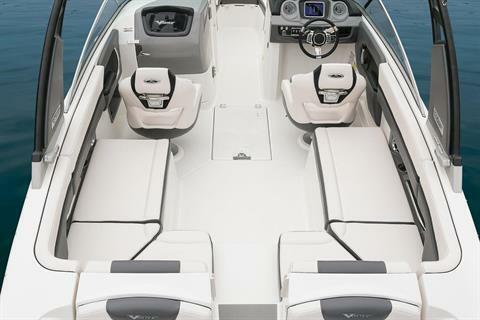 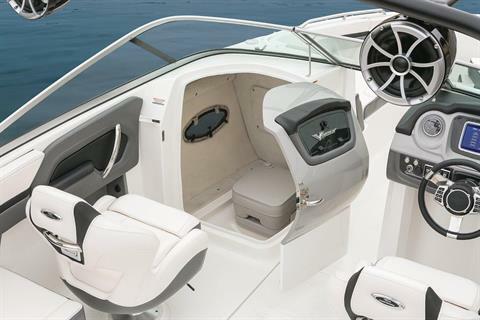 Large and inviting, the bow of the 2430 VR is complete with stereo speakers, stainless steel drink holders, wraparound bolsters and oversized safety rails. 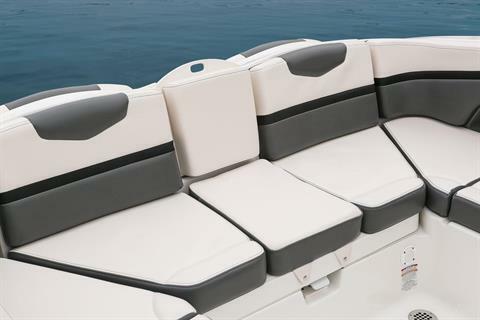 A standard filler cushion turns the entire bow area into a play area for the kids or a lounging area to soak up the sun. 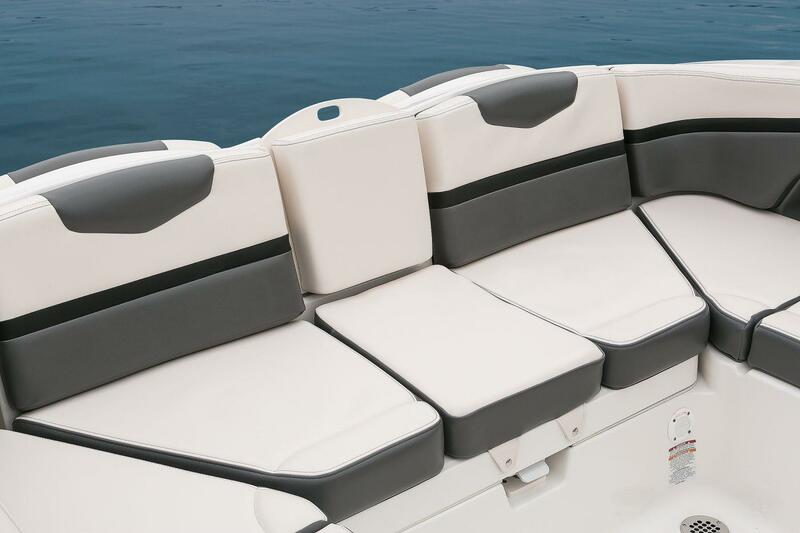 Large, dry storage compartments are located under each cushion. 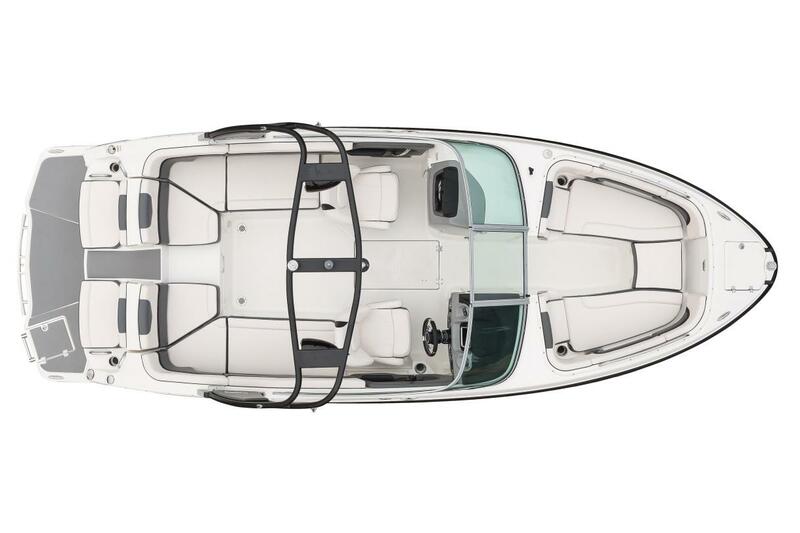 Forward there is an anchor locker that also encloses a telescopic boarding ladder for beach retrievals.